Each 27 January, Holocaust Memorial Day events were staged around in globe, in remembrance of victims of the Nazi persecution. 11 million people killed during the Holocaust, most of them Jews but also Christians, Jehovah´s witnesses, Roma and other ethnic and religion groups. During the Nazi period up to 100,000 gay men and women also were persecuted and imprisoned for their sexuality under Paragraph 175 of the German Penal code. 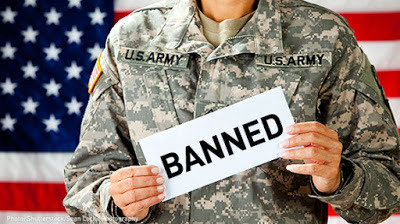 The Third Reich had no place for such 'deviants' and set out a systematic strategy to rid itself of this 'poison'. 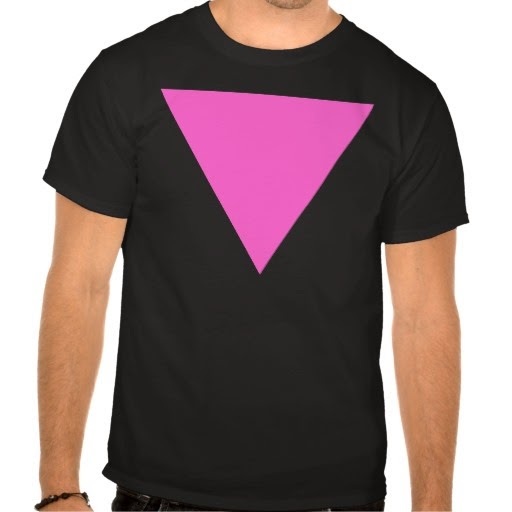 About 15,000 were sent to concentration camps where, forced to wear the 'pink triangle', as many as 60% lost their lives. 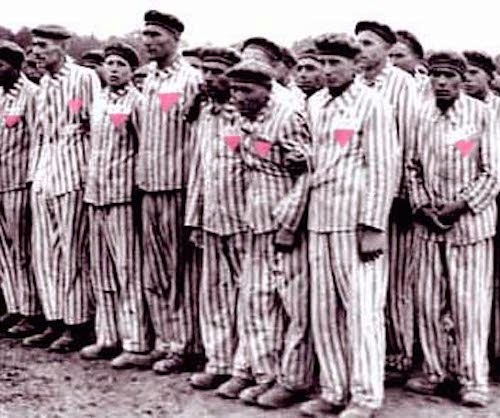 The pink triangle, or Rosa Winkel, was the most associated symbol for men held under § 175. 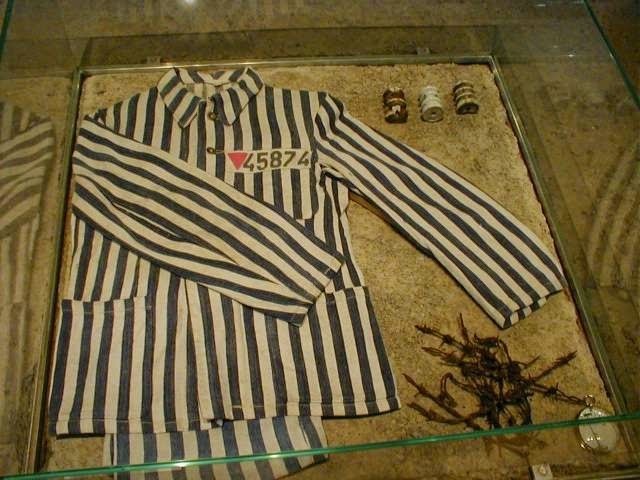 Inmates were made to wear a large piece of pink cloth on the breast side of their clothes (as shown in the picture below) and a larger one across their backs. 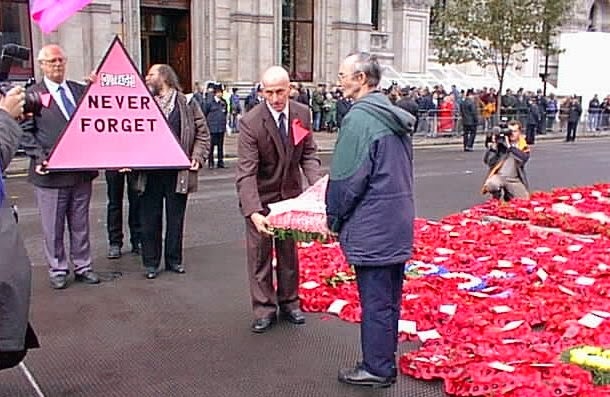 The pink triangle was made 2cm larger than any of the other identification triangle so that guards and other prisoners could clearly see when a homosexual prisoner was approaching. 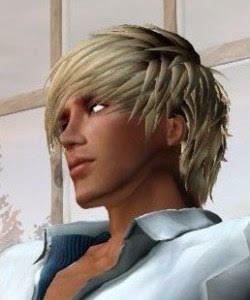 Some homosexuals were also identified with a large black dot on the jacket sleeve or left chest area. On the back of the jacket was also marked a large '175', which would have been instantly recognisable. Gays were treated with particular contempt not only the SS but also by many of the other inmates, who regarded them as degenerate perverts. Life in the camps was a solitary existence making it hard to survive mentally for any period of time. In the face of such hatred and degradation, it is no surprise that many committed suicide by running into electric perimeter fences rather than face ongoing persecution. I want to point something out. 6 million Jews were not killed during the Holocaust for their religion. They were killed on the basis of ethnicity - or race as the Nazis saw it. A Jew was defined by Nazi Germany as someone who had at least one grandparent who was of Jewish origin. It did not matter if they converted to another religion such as Catholicism, as Sister Marion Stein did, a Roman Catholic Nun who was born Jewish and is now a Saint, or if they claimed atheism, or if they claimed no religion at all. They were still murdered. The second ethnicity to be murdered was the Roma or Gypsies, one million were similarly exterminated. Soviet war prisoners were also exterminated, as were homosexuals and those who were considered to be political opponents of the regime - such as Jehovah's witnesses as you point out, or Roman Catholic priests who opposed the Nazi regime such as Father Maximilian Kobe. It is estimated that over 11 million died in the Holocaust -- about half of them Jews as you point out. But the Nazi's did not select Jews for extermination because of their religion -- but because of the threat they thought they posed to them based on national and what they saw as racial characteristics. Thanks for your comment Eddi, as usual your explanations are welcome and correct, hugs!